A recurring theme with most of bands I choose to review is that I don’t happen to live on the same land mass as them. Therefore I have to take to Youtube to find concert footage from which I then attempt to suss out the band in question. Searching for Carlton Melton lead me to a video of a punchy three piece classic rock/heavy metal band playing in a back yard somewhere. The guitarist wrings feedback from his trusty hollow Gibson guitar, the drummer (who looks like he just came from a biker rally) pounds the skins enthusiastically and somewhere in the background the bassist stands motionless beside a vintage acoustic bass amp in a stance honed by a certain John Alec Entwistle. The drummer pounds, the bass plods and the guitar solos up into the proverbial back yard cosmos and all have a good time. I was surprised then to find that the Smoke Drip EP contains an entirely different music, suitable for an entirely different occasion. Track one consists entirely of one chord. In fact, it reminded me of an ‘art’ piece I once took part in during which, over the course of half an hour, weights were placed on the keys of many Casiotone keyboards placed strategically around a small venue until the air was thick with a single tone. Here the band lay down a solid drone in the key of A. There are some bubbling sequencer synths, and some slightly rough guitar solo parts, but overall this track is one happy drone. Electronic organs and echoing guitars carry this one thread of noise along, whilst a low-tempo drum part keeps the music flowing. This track gets louder until the whole stereo field is filled with droning A chords, soloing guitars and swirling phasers. Track two, Smoke Drip, is slightly darker by contrast. Moody guitar parts, orbiting synthesizer lines and slow phasers work together to paint a portrait that seamlessly blends the space age, the jet age and the American Mid-West in some sort of bizarre retro-futuristic landscape. Again the structure is sparse (I think this time the chosen ‘lost chord’ is G major, but don’t quote me on that). The track slowly cycles through periods of heavier synth sounds and periods of slow Zenned out and bluesy guitar work. The final track is Against the Wall. To my ears this sounds like either a live recording, or at least a live-in-the-studio outing. I would liken this track to one of the many early-1970s Hawkwind bootlegs in existence. It is difficult to tell exactly what is going on between the sheer fuzz of the guitars and the swirling synth work. In the middle the drummer struggles to find the beat, but once dialled in the band find a crude Motorik that is equal parts Hallo Gallo and X In Search of Space. Thumbing through a recent CD sale, I chanced across Carlton Melton’s Photos of Photos release in a major high street music store. Not only did this make me realise I had a small stash of albums to review back home, it made me realise how strange the world is; this store had Carlton Melton albums but didn’t stock a single Pink Floyd album. Photos of Photos was released in 2012 on the Agitated Records label, and contains six tracks, though vinyl copies exist with bonus tracks. Notably, some copies carry a version of the unloved Pink Floyd off-cut When You’re In which ploughs up a solid two and a half minutes of the equally unloved Obscured by Clouds album. Musically the album is more adventurous than the Smoke Drip EP, with the band exploring a few different textures on the way. Album opener Nor’easter plods along with a two-chord progression that slowly builds to weighty climax. The power of these two simple chords seems to have an almost talismanic quality, as the band layers on more and more effects and bubbling synth sounds. However, by keeping this recurring theme playing in the background, they lend the track an impressive gravity. 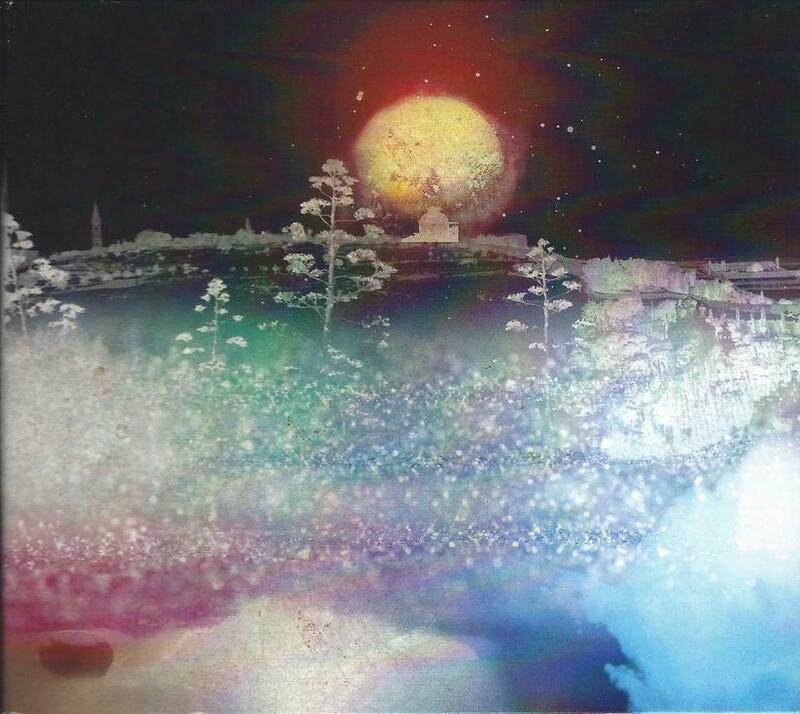 The title track features an altogether dreamier quality, with backwards (and forwards) synth melodies flowing over a dreamscape of mellow synth pads. In the background a bass, or baritone, guitar mines deep and guttural melodies that too sound like they’ve been manipulated to a lower tempo. This serious down tuning and speed correcting gives the track an underwater quality. Track three, Space Treader, builds from elongated guitar chords. This track builds to become quite an epic guitar workout, with various overdubs vying for attention. The music here is similar to that of the Smoke Drip EP, relying on a barely existent structure and limited palette of chords. Instead the heavier use of dynamics is employed, as this track too builds in volume. Post-peak, the track winds down with some wistful Moog soloing akin to Richard Wright circa Wish You Were Here. Apt but not flashy, and adding a mournful edge to the music. 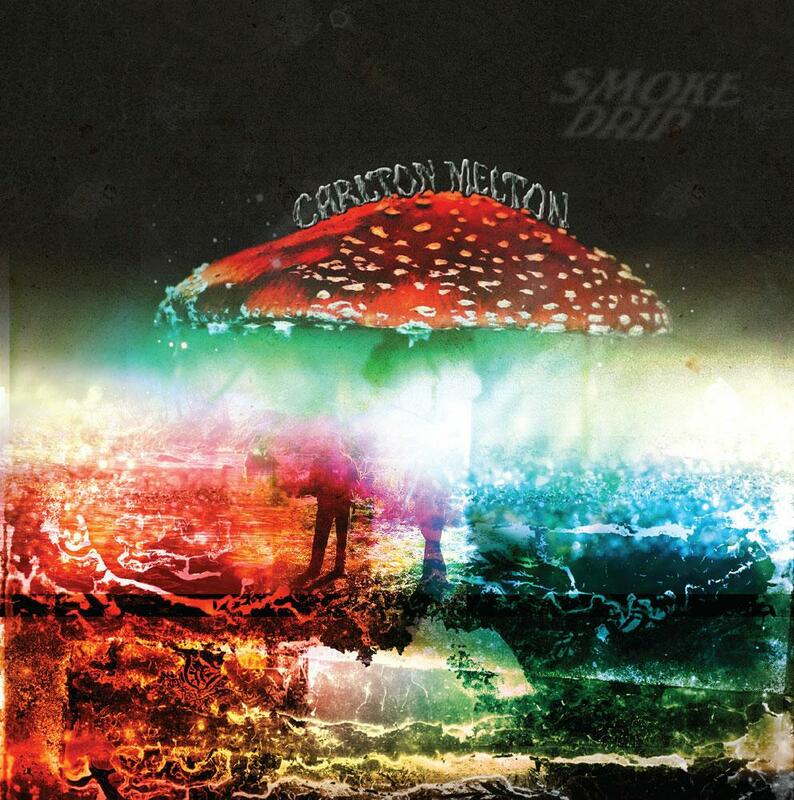 Overall Carlton Melton provide something of a musical paradox in that they are all-out garage rockers on the surface and calm introspection underneath. The Floyd cover, and an obscure one at that, hints at a band that studied Careful With That Axe Eugene and took the track to heart as an entire concept of composition. All the tracks build in intensity, but rather than building to visceral screams the band instead map out vast tundras, river deltas and glacier-scarred scenery musically. The band make use of guest musicians (on ‘Echoplex’, because Maestro’s much loved tape echo is an instrument in its own right in the hands of George Duke and co) and studio overdubbing to paint the cinematic vistas of their music, whilst maintaining their live show as a medium for straighter hard rock compositions.